Chris Thomas (affectionately known as the "guy with the hat") became interested in music at the age of 10, playing polka music his brothers in the "Thomas Brothers" family band in the Cleveland area. 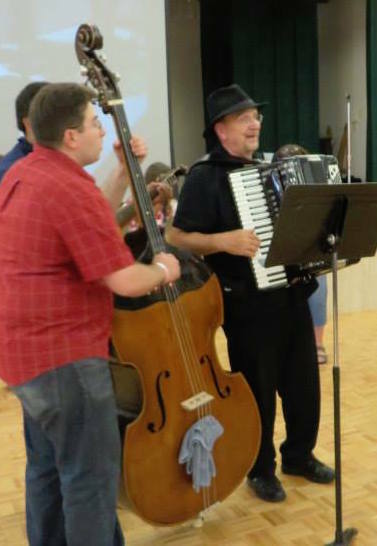 His curiosity, as to what was in that big box, lead him to taking accordion lessons. When Chris was in the 6th grade he started playing saxophone, then in the 9th grade he started taking lessons on the Tambura and played Brac with a Junior Tamburitza group called the Continental Tamburtizans of Sharon Pa.
Chris is a multi-instrumentalist and plays many different genres of music; from saxophone in the University Jazz Band in college, to accordion in the family Polka band and keyboards in a top 40 band. When he moved to California he played Country Western and created a successful Oldies Rock n Roll band. 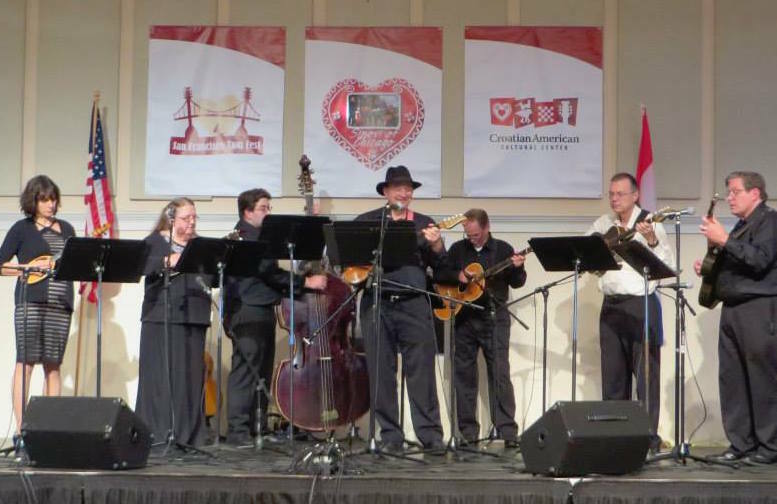 Chris started playing Tamburitza music again with the Yeseta Brothers in Los Angeles, in which he is still a member. And when not working at UCLA, plays International and Polka music for dancing throughout the Southwest, California and Nevada. 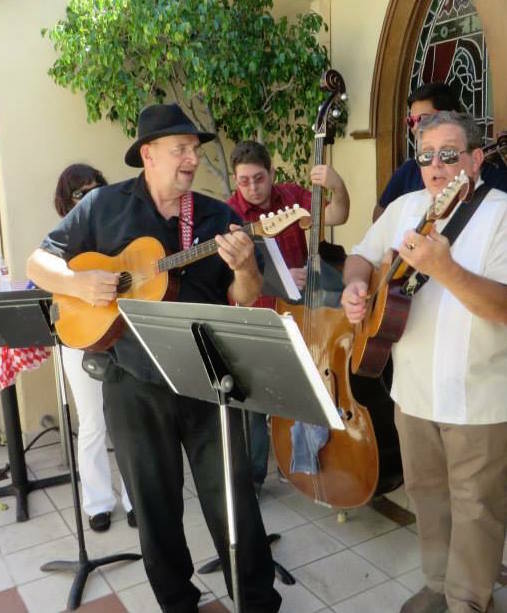 Chris' classes will be lively and fun, and all level of musicians are welcome! 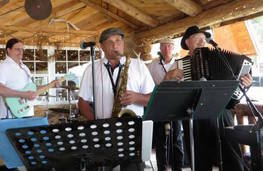 - For the BEGINNING ACCORDION class it will be a HUGE plus if you can read music. 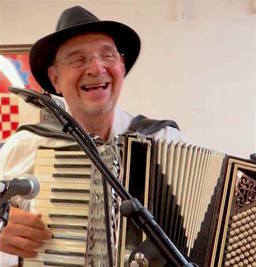 And he will cover basics (of course), and teach tunes that will coordinate with the Polka Band. 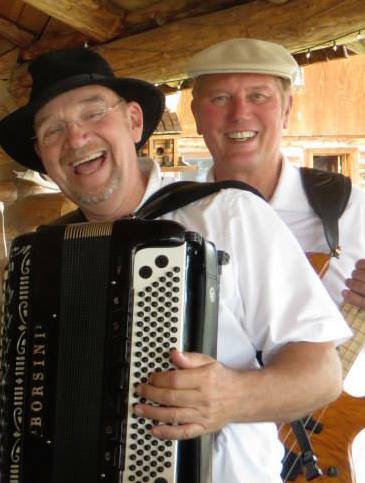 Chris would like it noted that he will not be teaching button accordion. 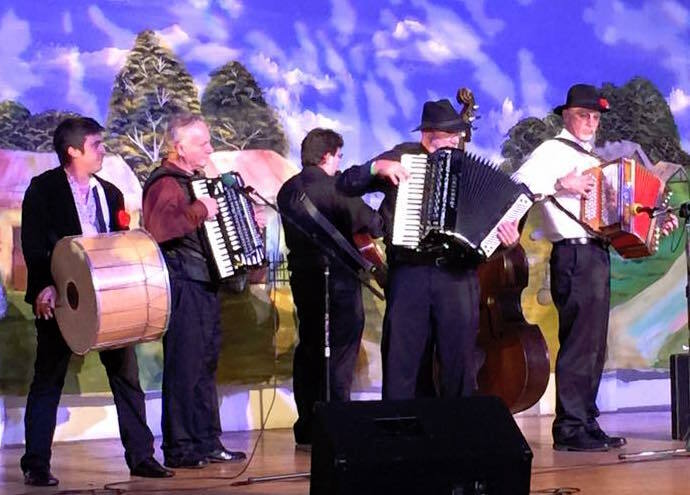 - For the WOODLANDS POLKA BAND class he'd like to welcome all accordion players (regular AND button accordion), along with any bass (electric or stand up), guitar (electric or accoustic), banjo, drums (snare), clarinet and brass players (especially saxaphone). Chris will be teaching a mix of Polka styles, so whatever instruments you have, they will probabely work well with this Woodlands Pick-Up Polka Band... so come on down!